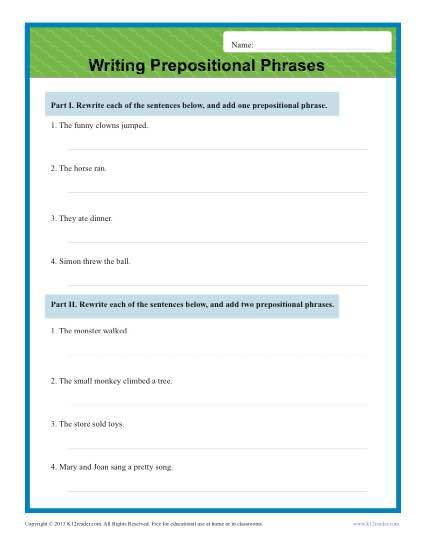 Prepositional phrases are an important part of a sentence’s structure. In this worksheet your student will get some good practice adding these to a list of sentences. It’s compatible with 4th grade Common Core Standards for Conventions of Standard English. You will also find them helpful as a review for other grades.